At Webmyne Systems, we provide expert Node JS developers for hire through flexible hiring models. Therefore, if you are looking for experienced Node JS developers to take care of all your web development work, you are at the right place. 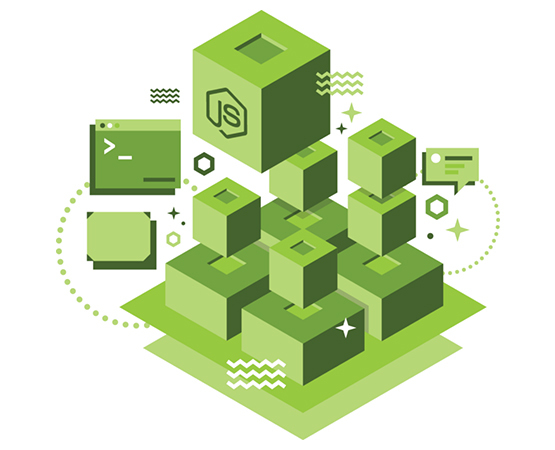 You can hire specialist Node JS developers from among our large pool of competent professionals as per your specific business needs and requirements. All our developers are replete with knowledge of updated technology that is essential for delivering result-oriented solutions. We offer enter Enterprise level Node JS consulting & development services that enable implementation of scalable and secure web applications. Our developers are experts at developing as well as integrating Node JS based solutions to ensure creation performance oriented apps. We have the expertise to create innovative UI/UX designs that are vital for developing efficient monitoring dashboards in online systems. Get assistance to install the right type of plug-ins that are crucial for ensuring adaptability and accelerating Node JS development. To maintain hassle-free functioning of system and ensure scalable web development work, hire one of our specialist Node JS developers. You can select a team of dedicated Node JS developers by interviewing our professionals. If you are unsatisfied with some members, we will offer replacement. For ensuring delivery of user-friendly, scalable and safe Node JS based web apps, our experts use advanced technologies such as AI, AR/VR, Blockchain, IoT, etc. We give guarantee to clients that if they are dissatisfied with our Node JS developers’ work, we will refund fees which have been received. Our top quality services backed by competitive pricing mechanisms ensure that you save lot of money on recruitment of local Nod JS programmers or developers. Maintaining client secrecy is of prime importance to us and so your ideas remain secure with us. Besides, our approach with clientele dealings is transparent. 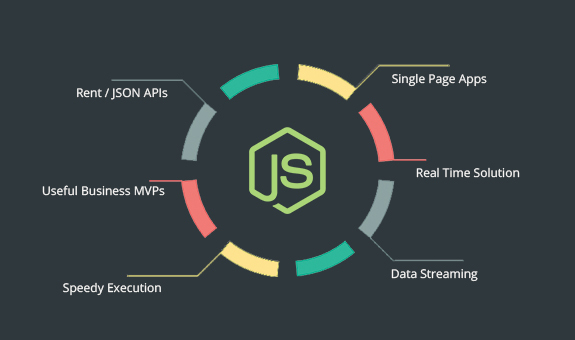 Node JS platforms are fast gaining popularity primarily because they ensure user-friendly interfaces and pioneering features. As Node JS is an open source framework, it is possible to create advanced mobile applications that guarantee great results. To learn more about our result-oriented Node JS app development services, contact us today by just giving a call! We match Node JS developers’ skills with your unique requirements. You can interview the shortlisted candidates prior to hiring them. You can discuss your specific project needs and get estimates.